Are you on Twitter? We hope so! Want retweets? Yes you do because the more your content is shared the more impact and following you will have. We’ve said before that you need to keep your tweets to 120 characters or less to make it easy for people to simply RT and go. New data from social media researcher Dan Zarrella gets even more specific: 110-115 characters is the sweet spot. Zarrella researched more than 1 million tweets and found that those in the 110-115 range were 34 percent more likely to be retweeted than those out of that range. Shorter isn’t better though, FYI. You’re still aiming to be informative, so feel free to let it rip up to that range. 3. 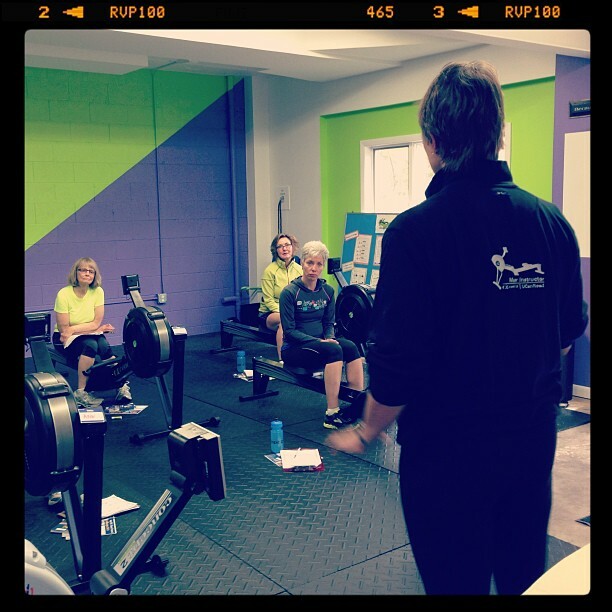 Use hashtags to help people find your content (#rowing, #concept2, #indoorrowing #skierg are some of the ones we use often). Take it easy with those though, hashtags count in your character total. Are you on Twitter? Follow the UCanRow2 Twitter feed to stay up-to-date on what we’re doing. Share your Twitter name with us in the comments so we and other readers can follow you, too! The social media world is abuzz with the latest salvo in the who’s-trendiest wars: Instagram, a recent Facebook acquisition and super-fun photo sharing space (we think) has come out swinging against Vine, which is owned by Twitter and brought microvideo to microblogging. Vine has quickly made an impression with its easy-to-create 6-second videos. So much so, in fact, that Instagram has announced its version, which gives you an expansive (by comparison) 15 seconds to play with. If you’re not all that familiar with any of these tools the key point from a marketer’s point of view is that they make it easy to use your smartphone to make your communication more visual, one of the most important steps to getting noticed and creating content that gets shared online. As we often point out during the marketing discussion in our Programming Intensive course, there will always be more platforms from which to execute your social media strategy (you have one, right?) than you will ever have time for. So instead of trying to do it all, pick what works and what you’re willing to stick with. Test-drive the newcomers that appeal to you and see if you like them, then readjust accordingly. Chris Brogan, an excellent social media strategist, makes this point better than we could in his column comparing Facebook/Instagram and Twitter/Vine. Worth a read. We want to follow you! Post links to your social media accounts so we can see what you’re doing. PS: Don’t forget to share content you like – sharing is caring! 1. Forced Brevity – Your posts can’t be longer than 140 characters (actually 120 is best to make them shareable) And while it certainly is true that writing shorter is often harder than writing longer (“If I had had more time I would have written a shorter letter,” etc. ), there is something almost freeing in having to keep it brief. 2. Find Your Unseen Fans – While many social media platforms require you to have an existing relationship with your network for your posts to be seen or pay to advertise to new potential fans (Facebook, for example), Twitter makes it easy to get yourself in front of people with similar interests who don’t know you, and conversely for those people to also find you. Hashtags, a keyword-like, information-organizing Twitter invention that worked so well it’s now becoming popular spreading on other platforms, makes it easy to join an existing discussion community, say, #rowing, or to create one around a particular interest. Ready to get started, or just need the general overview? Here’s a great Twitter beginner how-to. – Create user widgets, to put your Twitter feed on your website. It’s a great way to keep your site content fresh, and add new followers. Are you on Twitter? Share your twittername and a brief description of who you are in the comments, maybe you’ll pick up a follower or three. 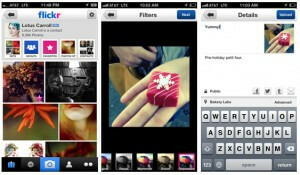 Fitness Marketing: Flickr’s Revamped iPhone App: New Home for Your Best Erging Pics? The New York Times says the new version of Flickr’s iPhone photo app may well be a force to be reckoned with, and stiff competition for Instagram. Flickr has long been THE place to post photos for Web optimization, but in recent months has lost some ground to hipsterish (for now) Instagram. Where the Times says Flickr is aiming, though, and where it may well win in the end, is to be THE place to look at high-resolution photos. If you’re looking to promote your fitness business online you should have a Flickr account anyway as it’s an important place to get your photos seen and to drive traffic to your website, Facebook page, or wherever you’ve set up your online home (I still think it should be a website, but that’s a post for another day.). Just like Instagram, serious photographers might not want to use Flickr’s iPhone app to display their best work (check out SmugMug’s Camera Awesome as one option for that) but this is more about Web optimization than art. And since both indoor and on-water rowing are such photogenic sports, those of us who love capturing them with a camera would do well to check Flickr’s new offering out. Do you use any of these? What do you think? 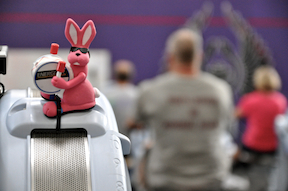 We’d love to see your favorite rowing and erging pics, too. Post a link here! NOT crazy! As anybody who’s attended our Programming Intensive knows, social media and fitness marketing essential to your offline, in-gym/box success. People will check you out on Google long before they’ll cross your physical threshold. They need to find you online AND find the same “person” there that they’ll get at your facility. That’s the way to get people in your classes … and more importantly keep them there. You can be as busy as you want online. At UCanRow2 we have one person who spends most of her time promoting our activities there. That’s overwhelming for most, we know and we’ll do a post soon about how to work your way gradually into this area. In the meantime though, check out this awesome social media planner from Hubspot that will give you a good start on how to be effective while keeping it all under control. The blueprint runs you through what do do Monday through Friday to stay up to date on what’s happening in your business, put your own spin on it, then get it out on Facebook, Twitter, your blog if you have one, etc. Not blogging yet? Think about it, you should at least have that in your sights for down the road. Substitute another content-generating activity like Facebook posts until you’re ready. What’s your biggest fear about social media? Your biggest success? Share in the comments! 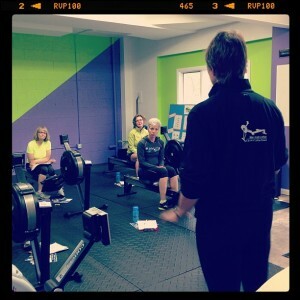 If you’re teaching indoor rowing classes or thinking about it, or you just love to row for your own fitness, you owe it to yourself to REGISTER NOW for a UCanRow2 certification workshop. Your St. Patrick’s Day Playlist Is Here! ©2014 UCanRow2. ALL RIGHTS RESERVED.